Pirovac is a medieval settlement and fortification of the oldest Croatian noblemen, tradition of Mediterranean agriculture as well as touristic climatic and recreational center. It is situated between Sibenik and Zadar, in the close proximity of the national parks "Kornati" and "Krka". This well-loved place is only 5 kilometers away from the nature park "Vransko Jezero", famous among the fishing community. Pirovac is situated in a deep bay which is a natural phenomenon, 12 km cut into the mainland and the Mediterranean ambient in which the authentic perfume of the vegetation mixes with the sea, making this region a climatic paradise for visitors. The south part of the bay „Makirina“ is a natural swimming area with healing peloid. By its content, quality and quantity, this site of the curative mud goes beyond all known sites in Croatia. Pirovac is adorned by numerous natural beaches, sandy bays and in the game of the shadow and light the visitors can experience different views over the scenery in different parts of the day. Special attraction is an islet Sustipanac, known as Mojster or „The island of love“, situated just opposite Pirovac where visitors can relax and enjoy in swimming and sunbathing and those bravest ones can jump into the sea from high cliffs. 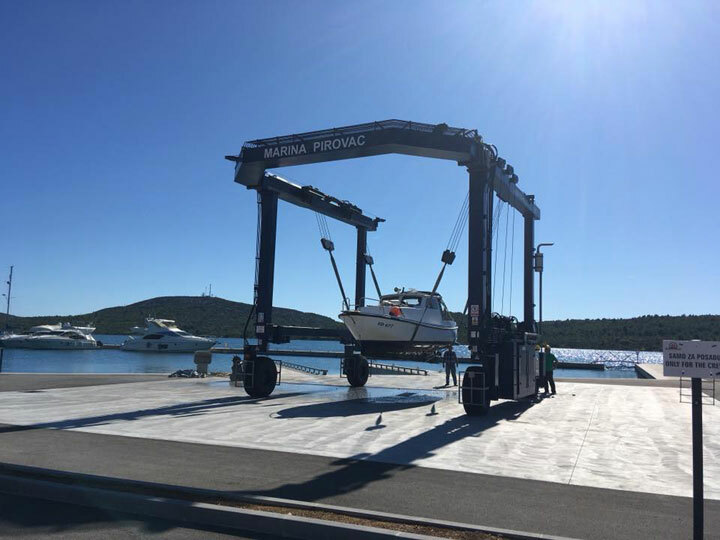 Marina Pirovac is located in the centre of the old Dalmatian village of the same name. Protected from winds, it is a safe harbour for two hundred vessels. 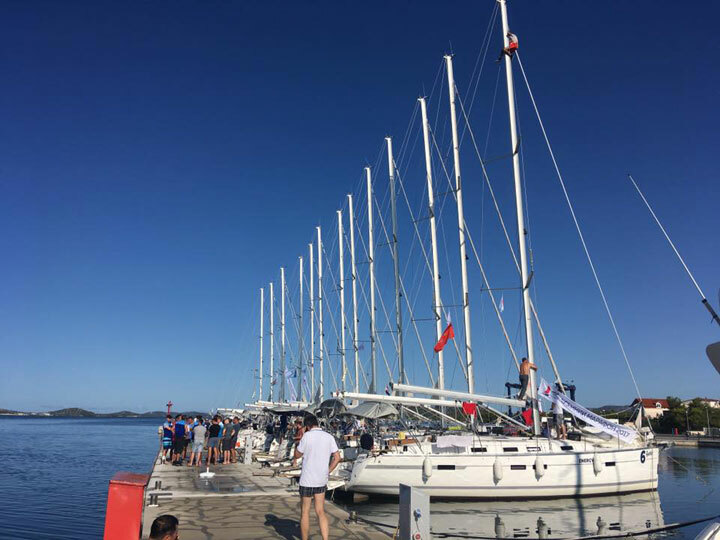 The vicinity of the national parks of Kornati and Krka make it an ideal starting point for excursions, cruises and regattas. 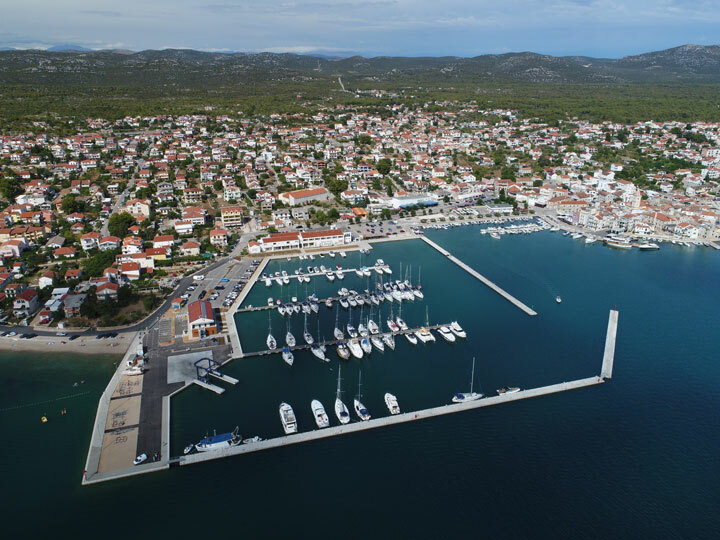 Within the marina there is a restaurant, free Wi-Fi, boat service, apartments and parking. Not far from the marina there is a newly redesigned beach, supermarket, bank, post office, pharmacy etc. 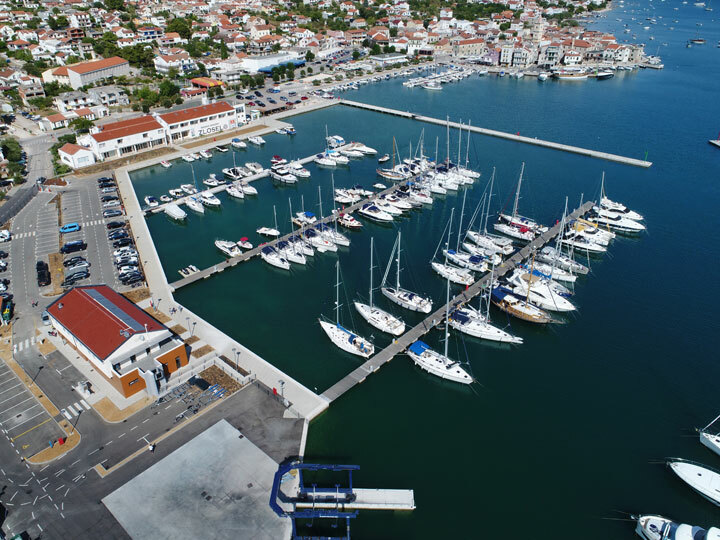 The marina is about 1 hour’s drive away from the airport Zadar and Split. Feel free to contact Aquatoria team, and we will organize transfer from/to the airport/marina. FlixBus offers bus routes in Croatia and also provides low-cost bus lines to Pirovac. Tourist info office is located opposite of the entrance in the marina Pirovac. Tourist agency “Makirina”, placed in the old center of Pirovac. In Makirina agency you can find out all the informations you might need as a tourist. For example, you can find out the accurate „Bus time table“, buy bus tickets, also you can buy tickets for Kornati National Park, you can exchange money, etc.